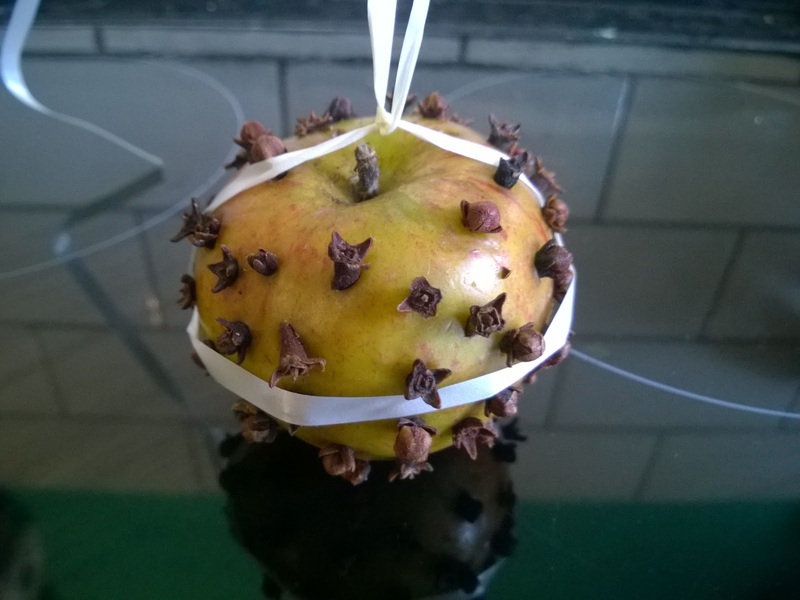 Ollie was struggling to push cloves into an orange yesterday, so we tried out making a pomander with an apple instead. I have no idea how well it will keep, but it smells divine today and is filling the house with a lovely festive smell. I got the idea from seed feeder apples we made last year at an open day at RSPCA Mallydams Wood. Very simple to make, with sunflower seeds pushed into an apple in the same way we have done here with cloves. Perhaps a double gift could be made - a smelly one for your house, and a seedy one for your garden.